For many people, the idea of limited access to high-speed internet is difficult to believe. After all, so many of us are used to smart phones, WiFi enabled vehicles, and even smart homes. The era of advanced technology developed quickly, and before we knew it, the internet became a necessity, not a luxury. But for many across Ohio, high-speed broadband just isn’t supported in their communities. In these underserved areas, it remains incredibly cost-prohibitive for private service providers to put forth the resources to expand broadband services. This problem, the “last-mile” of connectivity, reveals a coverage gap that many homes and businesses suffer from in a 21st century world. To help resolve this issue—one that plagues many rural regions like southwestern Ohio — the House recently passed legislation that incentivizes local governments and service providers to work together. House Bill 281, sponsored by my colleague Representative Rick Carfagna, is a Buckeye Pathway bill that would establish the Residential Broadband Expansion (RBE) Program within the Ohio Development Services Agency (DSA). Through this program, grants would be provided to local governments that sponsor initiatives to provide broadband to residential areas within their boundaries. Under the RBE Program, private broadband providers would be responsible for the bulk of any broadband expansion project. Any gap in funding would be taken care of by the local government, which would fulfill two thirds of the identified shortfall. The last third of the needed project funds would be supplied by the RBE grant share. This legislation encourages a pooling of resources and collaboration between the public and private sectors to overcome financial barriers. Through working together and by providing an incentive to do so, our local governments and private companies can develop internet connectivity statewide. With a stronger and more reliable broadband network across Ohio, we can improve the economic environment, enhance opportunities for all Ohioans, and strengthen families and communities. 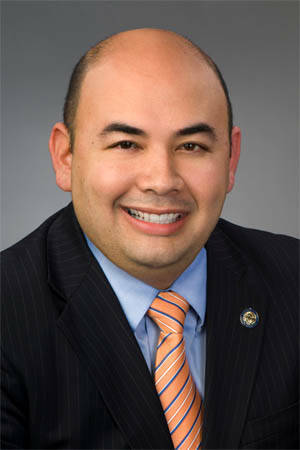 Ohio House Speaker Cliff Rosenberger (R-Clarksville) represents the 91st District.